Nate Parker’s movie The Birth of a Nation has revived the question: What caused Nat Turner’s 1831 uprising? Turner, first of all, was not a deranged misfit who acted outside of a historical context of previous African freedom fighters. Throughout slavery’s duration, resistance was not only constant and fatal, but twofold…Africans equally resisted both slavery and Americanization. Contrary to popular “feel good” versions of history, the “fight against slavery” should not be presumed as a “fight to become American.” For enslaved Africans like Turner, Americanization was the obstacle – not the vehicle – to the freedom they sought. A largely overlooked factor that forged Africans into Americans was their inability to muster enough weapons to militarily free themselves from Americanization. Along with the 2nd Amendment which allowed Whites to bear arms, slavery was also backed by America’s military, which is why 800 soldiers deployed against Turner. Within this context of warfare (which fomented at least 313 recorded armed uprisings), there is provable evidence that Africans became Americans – not by virtue of winning the Civil War – but by virtue of prior military defeats. CNN Town Halls won’t discuss this, but numerous captives were already soldiers in Africa beforehand, who like Turner, held deep monotheistic beliefs. Once in America these battle-tested troops launched guerilla forms of warfare whenever possible, using whatever weapons possible, with clear theological convictions that fused spirituality with revolution. Naturally, after being forcibly uprooted 5,000 miles from long-lived kingdoms and cultures, they deemed Euro-Americans as new adversaries, and Americanization was certainly not their goal. 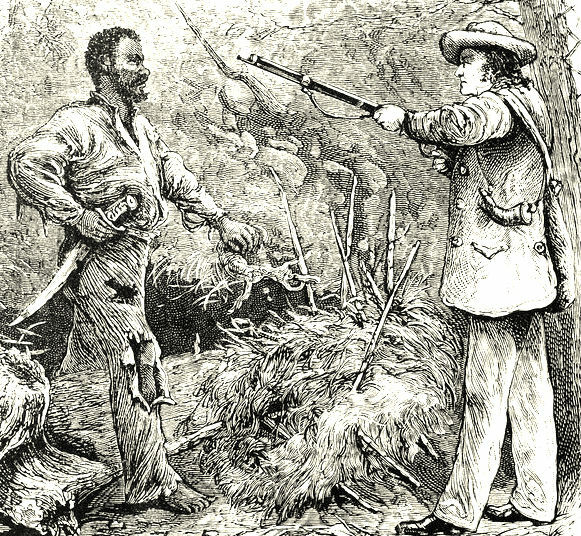 Interestingly, in a 60 Minutes interview, Nate Parker paralleled Nat Turner to George Washington in terms of their shared idealisms to “Birth a Nation.” From this perspective, whether you agree or disagree with Turner’s guerilla tactics, his comparative cause to end tyranny was no less honorable than America’s founders. This article was culled in part from The Sovereign Psyche: Systems of Chattel Freedom vs. Self-Authentic Freedom by Ezrah Aharone.